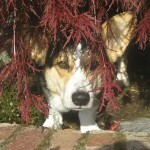 It’s the “as official as it gets” Pacific Northwest Corgi Picnic, including a silent auction to benefit Corgi Aid. Update: O.M.G.! Based on the RSVPs so far this one looks to be the biggest PNW Picnic ever! Update #2: O.M.G. O. M. G.! It was! We lost count at 70 bodies, and now estimate upwards of 80-90 people attended. We couldn’t even begin to count the dogs. Thanks to everyone who attended. It was a great time. Over $1300 was raised for Corgi Aid! Thanks again to Jean Clements-Macak for running the auction, it was a grand success. a selection of photos courtesy of Nick Olson. The “Corgi’s R Us” meetup group photo album for the picnic. I’ll link to more as I hear of them, so please let me know if you have photos to share. We’re Kathy and Leo Notenboom, and two or three times a year we hold Corgi gatherings at our home in Woodinville, a suburb of Seattle. This site is where you’ll find the latest information.